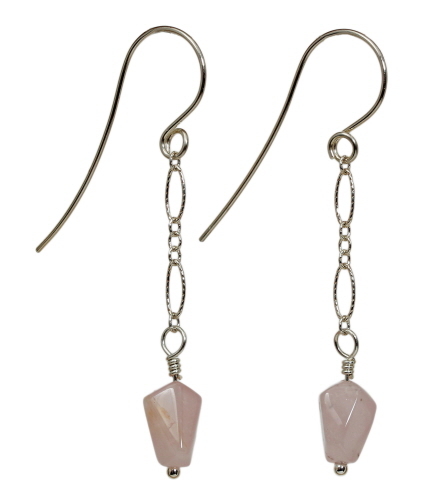 Small, chunky, rose quartz bead hangs from a fancy cut, sterling silver chain. Earwire is hand formed using argentium wire. Earrings measure 2¼ inches from top of earwire to bottom of dangle.